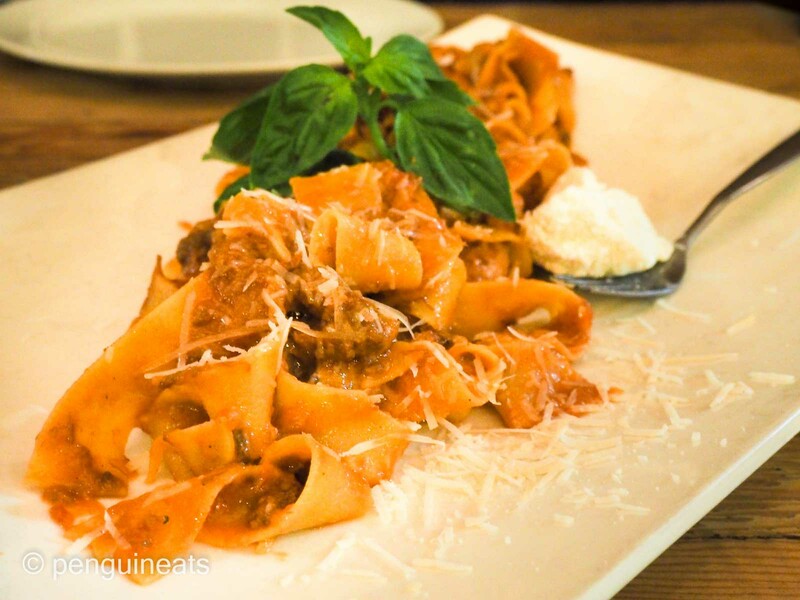 The Ragu Napoletano Pasta was the most perfect pasta I’ve tasted in Melbourne and rivals that of Italy. The Pappardelle was fresh, and cooked to just the right level of softness and chewiness. The texture of this perfectly cooked, freshly made pasta was simply phenomenal and just begged for a second mouthful. The ragu sauce was rich in meat and tomato flavour and combined exceedingly well with the egg-based pasta. Only letdown though were the chunks of lamb, which was definitely on the tough side and could’ve benefited from a longer slow-cook. The Peppino Pizza was also fairly tasty. I would argue this is the most authentic Napoli dough I’ve had outside of Naples in Italy. The hand made base was thin and crunchy, thickening to an outer bulging, crust that was both light and fluffy. 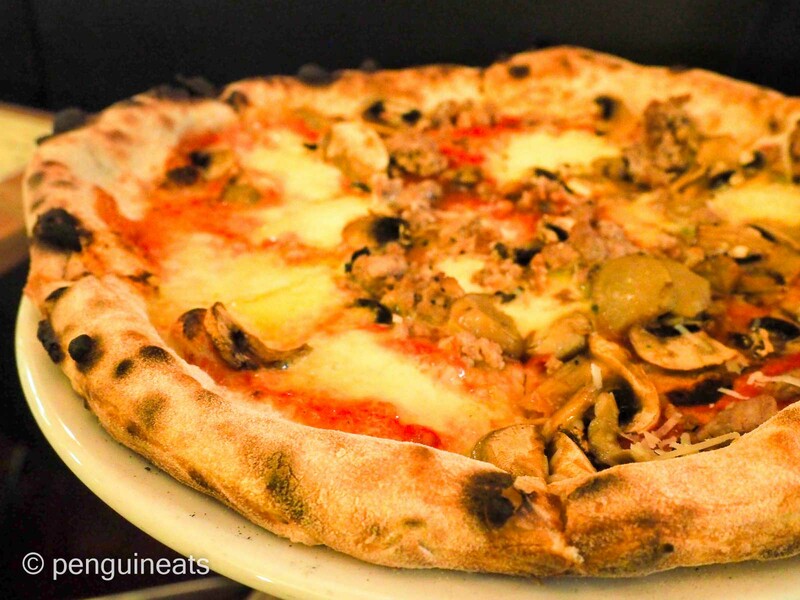 The tomato base was perfectly flavoured and was well complemented by the Italian sausages, flavourful cheese and mushroom. Truffle oil aromas were strong and bold. Quite nice overall. Unfortunately, the pizza was rather light on toppings and concentrated towards one side. Overall, portion sizes were definitely small and which means you’d definitely leave hungry if you neglected to order a Primi or Dolci… Like us. Overall a brilliant and authentic Italian restaurant that’s just hidden off the main fare on Lygon. The pasta was undoubtedly the best I’ve had in Melbourne and rivals the likes of Grossi and A25. However bear in mind that you go here to satisfy not your hunger, but your taste buds. Definitely. 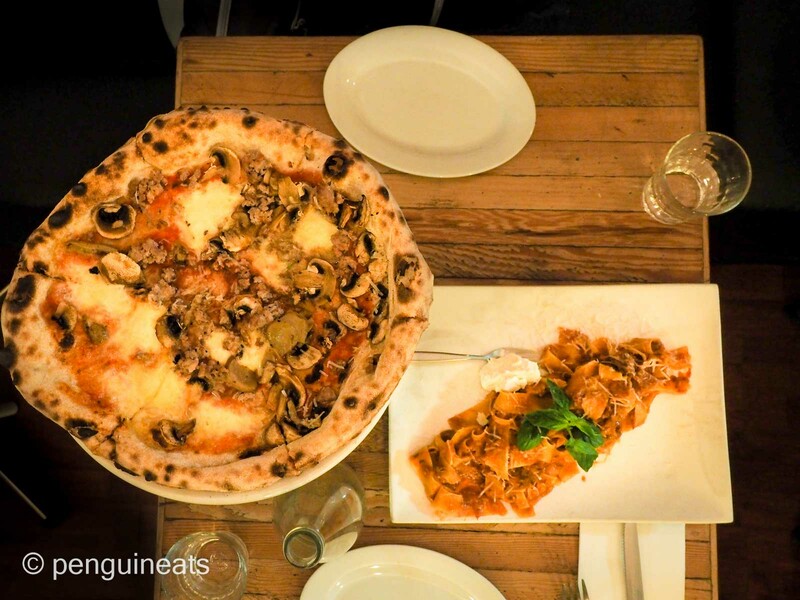 I’d go so far as to say they do the best pizza dough and pasta in Melbourne.